RT Magazine, aimed at providing information to decision makers in respiratory care, recently published the following article in which they discuss the fact that Automated external defibrillators (AEDs) are life-saving medical devices, and yet access to them during a cardiac arrest is significantly limited. Read on for Phyllis Hanlon’s full article. Automated external defibrillators (AEDs) are life-saving medical devices, and yet access to them during a cardiac arrest is significantly limited. In July 1997, a gentleman collapsed at the Stardust Casino in Las Vegas. Fortunately, security officers had access to and training in the use of an automated external defibrillator (AED) and saved the man. But not everyone is that lucky. The Sudden Cardiac Arrest (SCA) Foundation reports that SCA is the leading cause of death in people over the age of 40, not only in the United States, but in other countries as well. Every year approximately 326,300 people experience an SCA and nine out of ten die. Only 2% are treated with AEDs by bystanders. Quick response is critical. A 2000 study1 conducted after the Las Vegas incident found that if a person received his first defibrillation no later than three minutes after collapse, he had a 74% chance of survival. For every minute that passes without CPR and defibrillation, the chances of survival decrease by 7-10% percent, according to the American Heart Association. And accessibility to AEDs can be the biggest challenge. The American Heart Association reported that when people did not have 24/7 access to buildings, assistance with an AED was reduced 8% during the day; 28% in the evening; and 48% at night when schools, industrial and recreational facilities and offices were often closed. Ward Hamilton, senior vice president and board member of the Zoll Foundation, asserted that AEDs should be readily available in certain public spaces, such as student athletic fields and large high-rise buildings with many employees, where it might take public safety officials 20 minutes to reach people. According to Elijah White, Zoll’s vice president of marketing, another key issue is knowing when use of an AED is appropriate. “You need to recognize a sudden cardiac arrest, act quickly and recognize when CPR should be performed. This requires some amount of education,” he said. “One big issue with CPR is the fear people who learned CPR have in a situation. They are afraid to do it because they forget some of the training by the time they have to use it. But the devices help people act, gives them confidence. This has a big impact on the outcome.” The Red Cross incorporates AED training with their CPR courses, he noted. Although it’s ideal if responders have some training in the use of the AED, White pointed out that Zoll tests their devices on untrained users. “AEDS have some component for help and remind the rescuer to do CPR,” he said. Debra Ford, director of marketing, Defibtech LLC, explained that the market contains several AED models, all of which are relatively easy to operate. The basic semi-automatic model issues instructions to the operator when to push the button that delivers a shock. “The automatic AED you turn on and it does everything,” she said. 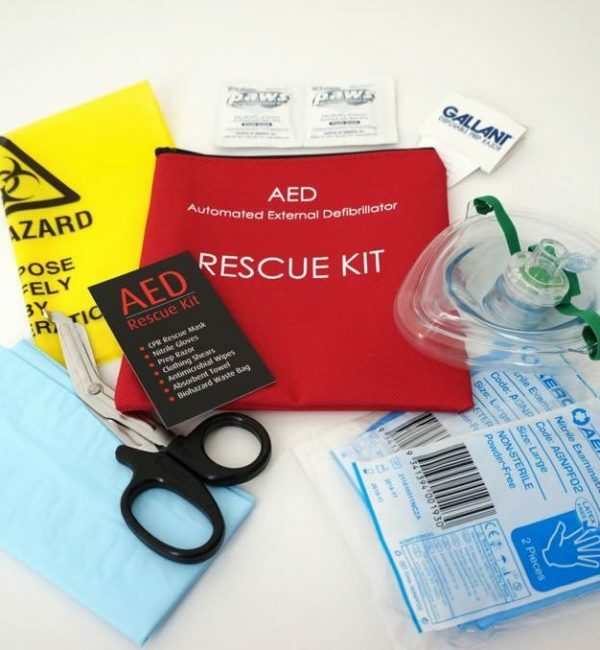 Defibtech’s AEDs also feature text and audible instructions, lights and screens. “We include actual video so the user can see what to do,” Ford added. 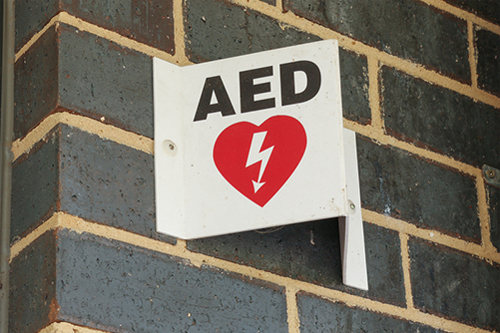 Some large retailers have begun carrying AEDs along with other products. For instance, at Staples, you’re able to purchase an AED along with your pens, paper and ink cartridges. “We now have more people that hadn’t sold AEDs in the past starting to sell them now,” Ford said. Sovak reported that large companies with AEDs typically charge an employee, usually someone from risk management, with the task of checking the devices periodically. But Philips is considering a cradle in which the AED would rest and remotely monitor the batter and pad status. This feature would hold appeal for large buildings such as multi-story hotels. “I believe you’ll start seeing more of that,” he said. Although AEDs are easy to operate and maintain, getting access to them in time of need poses the bigger challenge. Pinpointing the location of every publicly accessible AED is a nearly insurmountable task. For instance, a school may have an AED in its cafeteria, which would be locked on a weekend. But if a sports event takes place on Saturday afternoon, the AED would be inaccessible. The Zoll Foundation recently funded a study2 that found in the event of a cardiac arrest, there is a one in five chance that an AED will be nearby. However, there is a 20 to 30% chance the device will be inside a closed building and unavailable for use. For instance, in California a San Diego legislator recognized the need for more AEDs and helped pass legislation mandating the devices in buildings with more than 250 occupants. And Ford reported that fitness centers must now have AEDs on the premises. “Huge nationwide chains have decided to install AEDs. High-risk areas, like airports and stadiums, should have them. Several years ago some states passed a law that offices that conduct dental surgery using sedation must have AEDs,” she noted. Physio-Control and most manufacturers have played an active role in educating the public about the importance of both CPR and access to AEDs through partnerships with advocacy groups, such as the Red Cross, the American Heart Association, SCA, and collaborations with communities, EMS and hospitals, according to Landon. Manufacturers have also launched and supported public access defibrillation (PAD) programs to help businesses, community members and professional responders work together to strengthen the chain of survival, he added. Ford pointed out that separate companies exist in the AED space, including manufacturers, distributors, program management services and CPR training businesses. “Most companies like to stay focused on what we do best,” she said. However, partnerships among these companies are common and important. “We work closely with CPR training companies. We also partner with program management companies. When making a pitch [to a potential customer], we go together and offer a package deal with the various services,” said Ford. Philips shipped its first AED in 1996 and since that time has worked to raise awareness of the need for the devices, according Sovak. 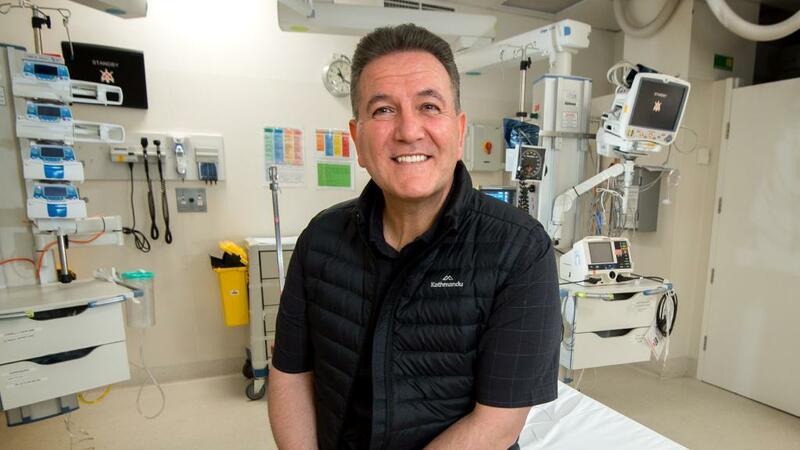 More important, the industry, academia and emergency medical service agencies have collaboratively explored several ways to increase access to AEDs. “They have played at creating databases and apps, but no one has solved the problem,” he said. “It’s a big challenge. 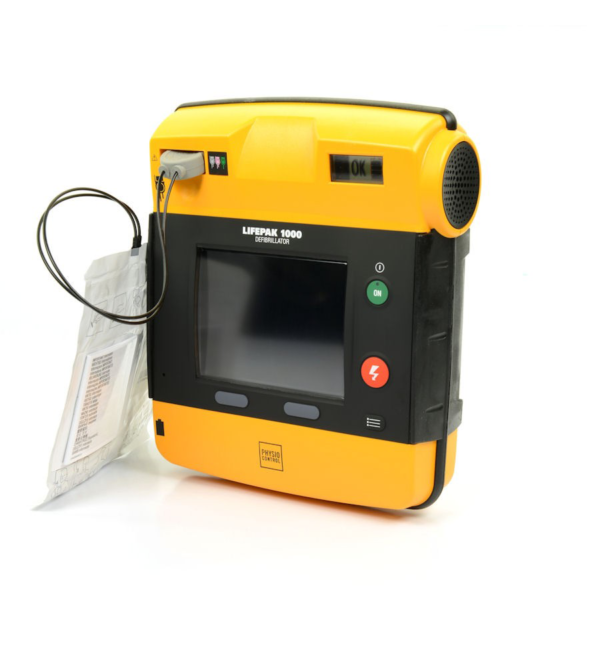 For instance, with a database you have to keep it up to date – where might the nearest trained responder be, is the AED ready for use, who has access to it. This speaks to the fact that we need more education and awareness,” Sovak said. Phyllis Hanlon is a contributing writer to RT. For further information, contact RTmagazine@allied360.com. Valenzuela TD, Roe DJ, Nichol G, Clark LL, et al. “Outcomes of Rapid Defibrillation by Security Officers after Cardiac Arrest in Casinos.” N Engl J Med 2000; 343:1206-1209: 10.1056/NEJM200010263431701. Sun CLF, Demirtas D, Brooks SC, Morrison LJ, Chan TC. “Overcoming Spatial and Temporal Barriers to Public Access Defibrillators Via Optimization.” J Am Coll Cardiol. 2016;68(8):836-845. doi:10.1016/j.jacc.2016.03.609.